Can Jose Mourinho get over summer of discontent? Manchester United welcome Leicester City to Old Trafford for the opening fixture of the 2018-19 English Premier League season. The Red Devils have a good record at home and can start their campaign with a win in front of their fans. The Red Devils are one of the teams expected to challenge Manchester City for the Premier League title. However, they were unconvincing in pre-season having claimed only one regulation time win in six warm up matches. United have been all over the news this summer with manager Jose Mourinho constantly expressing displeasure at the state of his squad. Only three players have arrived at old Trafford in this transfer window and the Portuguese has been desperate to acquire more reinforcements. Among the new arrivals, only Brazilian midfielder Fred is likely to feature on Friday. The 25-year-old is expected to line up in midfield alongside Nemanja Matic, the likes of Paul Pogba and Romelu Lukaku may have to start from the bench after their World Cup exertions. The Foxes head into the new Premier League campaign off the back of a 2-1 victory over Lille in their final warm-up match. Nigerian striker Kelechi Iheanacho struck a brace as they wrapped up an impressive pre-season campaign which saw them suffer only one defeat. It has been a busy summer in the transfer market for Leicester with several arrivals and departures at the club. Riyad Mahrez completed his move to Manchester City but the Foxes will hope the Likes of James Maddison and Rachid Ghezzal will make up for the Algerian’s exit. 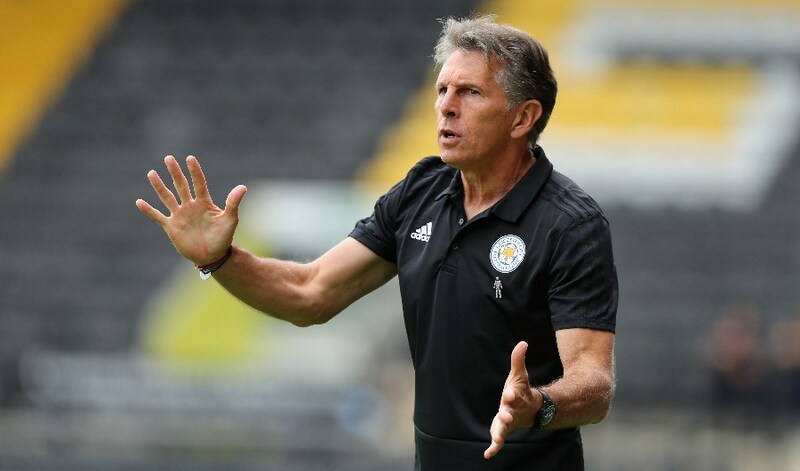 Manager Claude Puel could hand Maddison and Ghezzal their debuts on Friday while Harry Maguire is likely to feature alongside summer signing Johnny Evans after the club rebuffed interest from Manchester United. Iheanacho could be given a start following his impressive form in pre-season while Jamie Vardy is also in contention to play. Manchester United are unbeaten in their last six meetings with Leicester City. The Red Devils have won four of these matches while the other two have ended in draws. 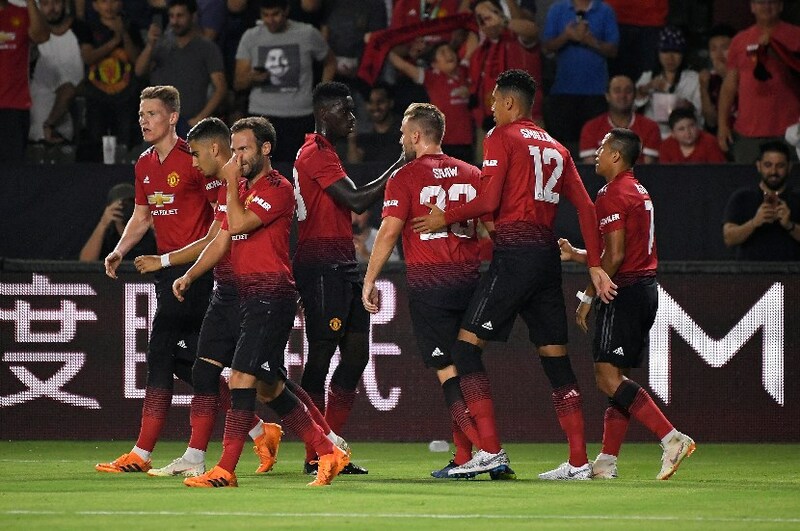 Both teams played out a thrilling 2-2 draw in their last clash with Juan Mata scoring twice for United while Vardy and Maguire got the goals for Leicester. With Lukaku likely to start from the bench, Marcus Rashford could be tasked with leading the line on Friday. The youngster’s pace could be a weapon for the team and he could get some joy against a slow Leicester backline. Alexis Sanchez remains a threat in the wide areas and the Chilean will always be favourite against Danny Simpson at right back for Leicester. United’s defence could struggle to cope with the pace of Vardy and Demarai Gray but they will bank on the likes of Sanchez, Rashford and Mata to do the business at the other end. Manchester United have won 11 of their last 15 home matches (Premier League). Manchester United have won 4 and their last 6 matches against Leicester City (All Competition). Manchester United have failed to keep a clean sheet in 4 of their last 6 home matches (Premier League). Leicester City have lost 5 of their last 7 away matches (Premier League). Leicester City have failed to keep a clean sheet in 5 of their last 6 away matches (Premier League). Despite all their problems, United's solid home form makes them favourites to take this one. They are unlikely to keep a clean sheet but should claim the victory.